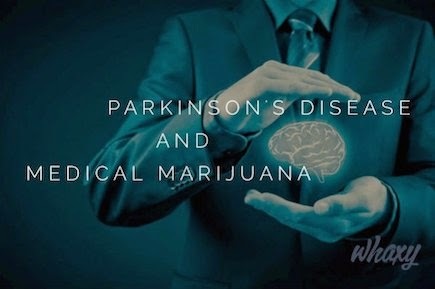 Cannabis has been found to treat not only the shaking and rigidity that accompany Parkinson’s, but also the depression that typically results. Tetrahydrocannabinol (THC) and Cannabidiol (CBD), the primary cannabinoids (active therapeutic chemicals) found in cannabis are known to control spasms, reduce inflammation, and prevent further neurological damage. According to one study, smoking cannabis significantly reduced the tremors associated with PD, improved sleep and reduced pain in patient participants. In the sames study, “no significant adverse effects were observed.” The study suggests that cannabis might have a place in the therapeutic armamentarium of PD. This demonstrates that although the best neuroprotective treatments for PD are not known, the endocannabinoid system may be the most promising target for further studies and research. This is all perfectly logical when one considers that research reveals that PD sufferers show naturally elevated levels of endocannabinoids, chemicals produced by the body that help maintain a healthy nervous system — among many other functions. In fact, the cannabinoids found in cannabis mimic endocannabinoids and can be thought of as a supplement to the effort of a PD patient’s body to fight the disease. One study found that some Parkinson’s patients showed endocannabinoid levels that were twice that of non-PD sufferers. While more research is needed, this suggests that cannabinoids, whether derived externally from cannabis or internally from one’s endocannabinoid system, have true therapeutic value in the treatment of PD.